"What's great about the system, is that when my kids ask me a question, I can quickly look at the front cover, find an appropriate topical response, and then have a few different scriptures to amend my response. It's also come in handy because we're the only Mormons in the neighborhood, and I find myself talking about what we believe quite a rather lot." Read the full review here. HolyTabbs in the BYU Bookstore! We just met with the BYU Bookstore purchasing manager, and she thought HolyTabbs would be a great fit in the Scripture Marking department of their store. 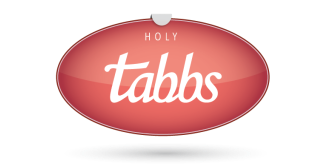 HolyTabbs will be available for purchase in their on-campus store in Provo, UT. We are really excited to provide students and pre-missionaries with our product! Product should hit storeroom floors by December 10th! We'll keep you posted!